‘A girl could not remain so for ever. Once she had crossed that divide into motherhood, she could never return to her former self, and no man would ever look at her again with the same eyes.’ Do you agree with Shurika, or is this view solely a product of time and place? ‘Nothing is what it used to be. And I have a feeling that this is just the beginning.’ How has the author set about capturing the sense of impending change in The Secret Children? ‘You mustn’t dwell on the past, Mary. It will do you no good, no good at all.’ Is Sister Margaret right? ‘Any onlooker would have thought that Mary’s arrival was nothing but an irritation and that Serafina might have preferred to sever all connections with her. But Mary knew better.’ How would you characterise the relationship between the sisters? ‘I’m not going to suffer for the rest of my life as a punishment for a crime I never committed.’ What does this say about Serafina? ‘That was the way of gradual changes. They crept along like silent shadows and before you knew it, everything had altered, and nobody seemed to realise.’ How does this chime with your experience? 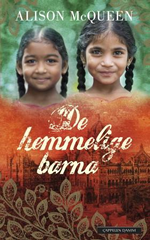 How does the author illustrate the differences between India and Africa? ‘Men want gratification. Women want security.’ Do you agree with Serafina? ‘Life is unfair.’ Is this always Serafina’s starting point? Was that always the case? And if Mary is different, why is she? How has the author dealt with the themes of shame and guilt? 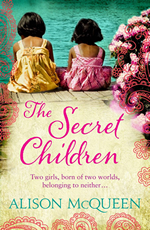 ‘We should learn from our mistakes.’ Do the characters in The Secret Children learn from theirs? ‘The things that frighten us most lose something of their terrible lustre as the years pass by.’ Is that your experience? ‘Always be proud of who you are. Proud of where you came from. Without that, what do you have?’ Is this is the strongest message of the novel? How did your convent education influence your depiction of St Agnes’s? I have clear memories of what it was like to be educated in a convent environment. The nuns were a very mixed batch of women, dedicated to their calling, some of them kind and friendly, others not so much. They chose to live a life removed from the outside world, and stuck rigidly to the old-fashioned ways passed down through the order. Routine and discipline shaped everything, and anything to do with ‘becoming a woman’ simply did not exist. How important do you think historical accuracy is to a novel set in the past? The Secret Children is set against a vast backdrop – the closing scenes of what came to be known as the British Raj, the advent of World War II, and the catastrophic partition of the new independent India. Historical accuracy was essential to give the story its sense of time and place. These events changed the whole landscape of the British Empire, and sealed the sub-continent’s fate as a nation divided. How did you physically write The Secret Children and why? I wrote the opening dedication on my mother’s 70th birthday, fourteen years ago. That sole paragraph sat in a notebook for seven years before I felt ready to begin writing the story. I was totally unprepared for the emotional impact it would have on me, creating the grandparents I never knew, writing of lives and places I could only imagine, trying to piece it all together. It was an exhausting process, but it taught me a great deal. Which character in the novel are you most like? I’m not sure that I am particularly like any of the characters in the novel, as much as I would like to be. I admire Dorothy greatly, and I envy Mary the kind purity of her nature which remains to this day. If pushed on that question, I think I would say that I am most like Shiva, watching quietly from corners without saying much. Yes. I kept a dossier on one of my teachers, Mrs Smythe, when I was in primary school. She drank sherry behind the book cupboard, and she wore Je Reviens by Worth, a grotesquely pungent perfume, no doubt to cover the smell. My mother kept the dossier, a red Silverline exercise book, so I expect it is still around somewhere. What authors do you admire and why? Oscar Wilde, Stephen King, Daphne du Maurier, Annie Proulx… my list of favourite writers is endless, and they all have one thing in common – great storytelling, and the ability to move me. Are big secrets always a bad thing? That’s an interesting question, and the only answer I can think of is yes, and no. It depends on who you ask, and what the secret is. Silence or music while you write? If music – who do you listen to? Absolute silence when I write. I can’t bear any sort of noise or intrusion, so it was particularly bad news when the next door neighbour decided to get the builders in for four years. There is also a man nearby who like to get his chainsaw out whenever the sun is shining. I’m not particularly interested in possessions. Things have a habit of tying you down and cluttering your life. I am looking forward to the day when everything I want or need fits neatly into a bag that I can sling over my shoulder and clamber onto an Indian train with. In it will be the small carved wooden elephant my mother gave to me, alongside a toothbrush and some simple cotton clothes, and a notepad of course. 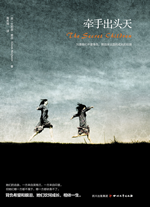 Do you think that the strong threads of reality in The Secret Children give it more truth as a novel? Truth is everything in writing. It has to come from a place that gives something of yourself, or what’s the point? There must have been thousands of children born under similar circumstances during an era when such things were considered beyond the pale. Yet where was their voice? I was privileged enough to know some of these secret children, and it was my honour to write a story for them. What single thing about you would surprise us the most? What’s you most vivid memory? All my memories are vivid. Perhaps it is a trait that many writer share, the storing of pin-sharp details, no matter how small. I have a tendency to remember feelings in particular – fear, joy, grief – and I try to hold on to those memories in the belief that they will serve me well, both in life and as a writer.